LAM Program Chair, 2004, 2005. Mt. Kenya's Point Lenana (4,985 meters or 16,355 ft). 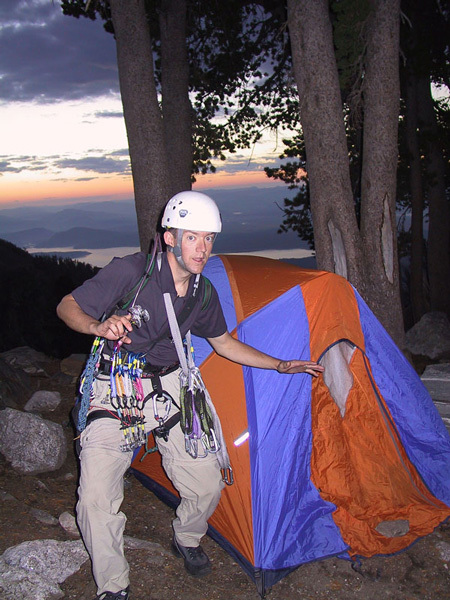 Erik Shores has been a member of the Mountaineers since 1998 when he took the LAM climbing school with friends Bill Geist and Lori Daane. He's climbed and hiked extensively around the western states with close friends and fellow mountaineers and, when convenient, collects state highpoints. 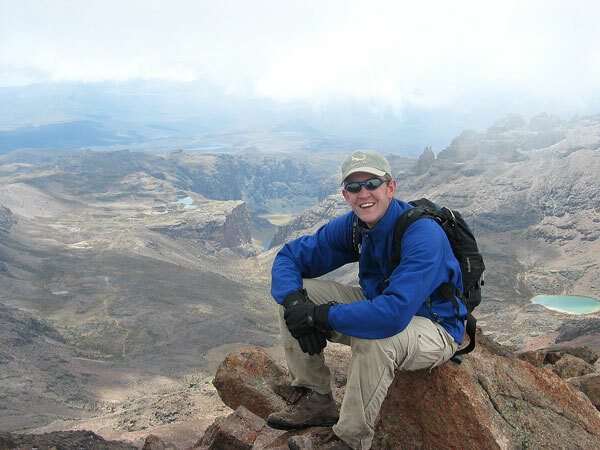 Erik enjoys trail running and long solo hikes in the wilderness; two favorite spots in New Mexico are the Truchas and Latir Peaks. Traveling to coastal areas provides opportunities for sea kayaking and diving. A snowboarder since 1999, he took his first ski lesson at Pajarito Mountain in March 2010. In short, regarding outdoor pursuits, he fashions himself as a jack of all trades and master of none. Preparing to climb Mt. Moran's "CMC Route" in the Tetons (September 20, 2004). Other Interests: Erik has a PhD in nuclear engineering from the University of Missouri at Rolla and has worked at Los Alamos National Laboratory, mostly in Applied Physics, since becoming a GRA in the summer of 1996. He probably works too much, but when he isn't working, he spends time with his life partner, part-time daughter, and dogs--usually outdoors.